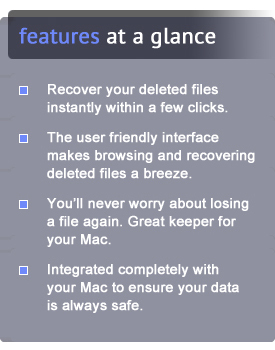 Photo Recovery Guru is the trimmed down and cheaper alternative to Mac Data Recovery Guru, our master product. All the same it comes with our 100% money-back guarantee based on its effectiveness, and there is a demo available to download now. Photo Recovery Guru scans through the contents of your camera’s memory card and will find the data remnants and stitch them together in order to retrieve your picture files, movie files, and sound files and allows you to save them onto your Mac. Make no mistake. These are deleted files being displayed! Q. What kind of data can I get back? Q. What kinds of devices does Photo Recovery Guru work on? A. In short, it will work on any digital camera which does not secure-erase its memory card by default (This is extremely rare). Q. What if my memory card is not appearing at all? A. Photo Recovery Guru can often still see it, and recover files back from it. Even in some severe cases. Click on the “Devices” tab next to “Volumes” to see every device that is available. Download the demo and see! Q. What if I have completely formatted my device? A. It makes no difference to Photo Recovery Guru if the device has been completely formatted 100 times or still has a filesystem. It will search through the entire device irrespectively and pick up any data remnants, which formatting a drive does not affect at all. Q. Can anything stop it? One is if the file you want back has been written over since you deleted it. Two is if the device has been secure-erased, in which case nothing can get it back. 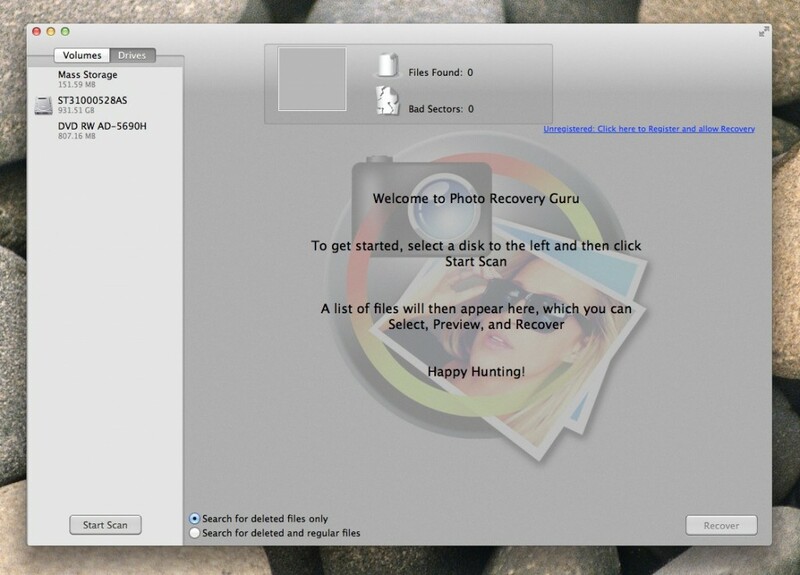 A third possibility with Photo Recovery Guru is that you are using a camera that does not mount in the Finder. This is particularly common with Canon cameras. In this case it is necessary to place the memory card in the camera into a memory card reader device, which will allow it to mount on your Mac like most other device types. 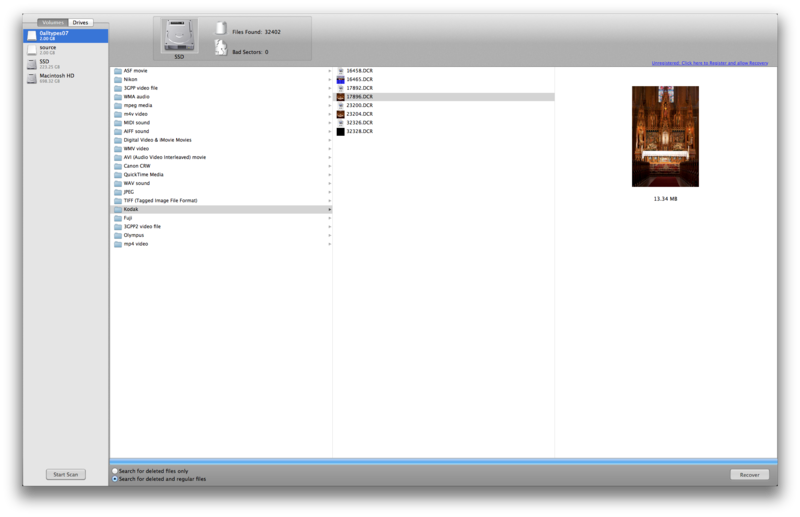 Overall, your best shot is downloading the demo in which case you’ll quickly be able to see if the files are still there.